SGS Industrial Services is an international operating service provider for mechanical and electrical installation and the provision of maintenance services for industrial plants. The company is an expert in setting up, modernising or relocating plants ready for production and, if required, maintaining them. Covering a wide range of industries, SGS Industrial Services tailors comprehensive solutions for the specific needs and characteristics of each industry. In the power technology industry, SGS has evolved to be the number one partner for plant manufacturers and plant operators when it comes to the mechanical and electrical installation of industrial plants. Long-standing experience, the highest quality standards, flexibility and competence – that is the successful formula. 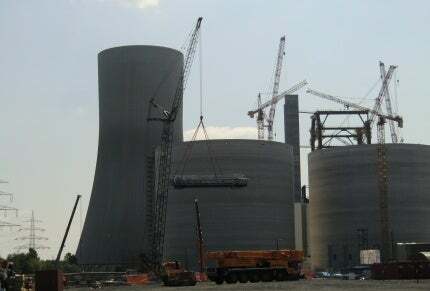 The installation of plants for the energy and environmental technology, industry including gas and steam turbines, flue gas cleaning plants and electrostatic precipitators, is one of the most challenging tasks for an installation company. SGS faces up to this major challenge and provides the mechanical and electrical installation of complete power plants as well as the installation of subareas and single parts of plants. SGS executes the complete mechanical installation of all kinds of equipment for industrial plants, including piping, ventilation systems, welding, surveying and supervision. Furthermore, SGS offers the relocation of separate machinery or complete plants including dismantling, transport and reinstallation. In terms of electrical installation SGS provides services like the installation of cable tray systems and conduits, cabling and connection works up to I/O-checks, delivery of switching cabinets and the supply of materials and special tools as well as the supervision of all installation works. To improve the profitability of industrial plants, SGS provides maintenance services like scheduling of maintenance works, replacement of worn parts, repairs and servicing. Additionally to all installation and maintenance services SGS offers the supply and engineering of steel works, piping, insulation, control cabinets, cable tray systems, protective conduits, control, trailing and power cables. SGS Industrial Services GmbH completed the mechanical installation of two Gas Turbine Combined Cycle Units with a total capacity of 841MW for the Czech energy supplier CEZ in Pocerady (CZ) in September 2012. The Centrica Lincs offshore wind farm is one of the five renewable projects developed by Centrica Renewable Energy (Centrica) in the Greater Wash, UK.